Diamond Details: Round brilliant cut white diamonds, pave set, G-H color, SI1 clarity, with excellent cut and brilliance with round cut fancy pink diamonds, of exquisite color, weighing .10 carat total. 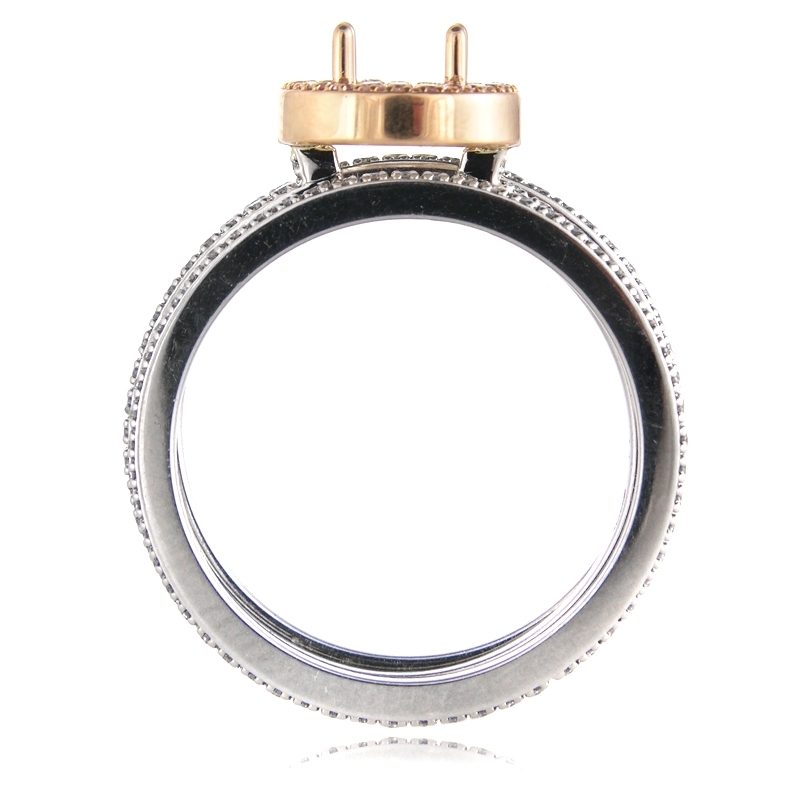 Ring Details: Simon G Platinum and 18k rose gold with halo design. 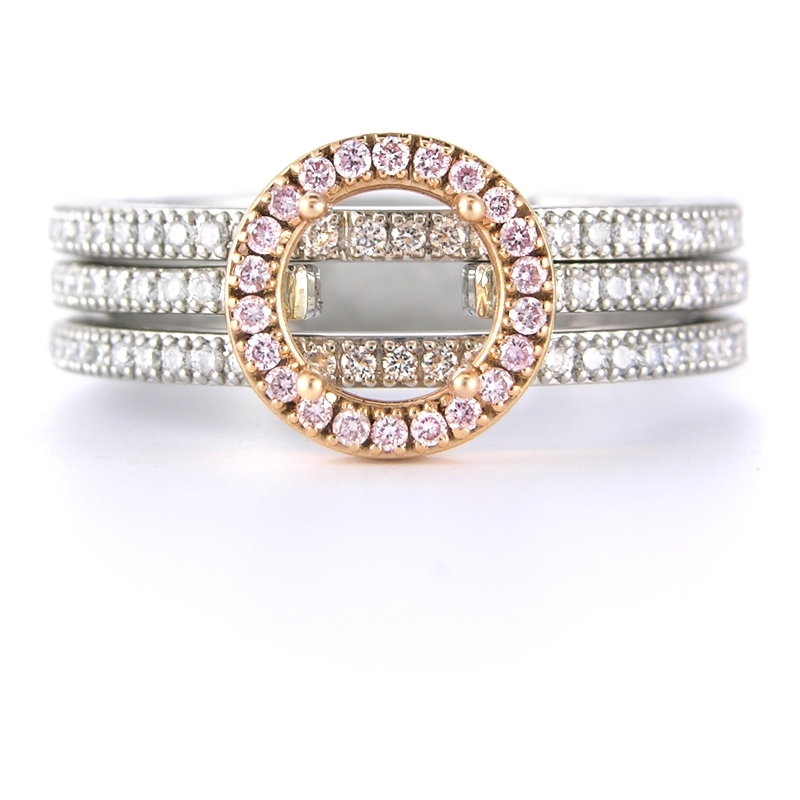 Engagement ring setting fits in the middle of the wedding bands shown and is sold separately. Please search #4917 for the matching wedding band rings. Measurements: Accommodates a .75 carat round cut center stone. Simon G rings can be ordered in any finger size. Please allow 3-4 weeks for delivery. 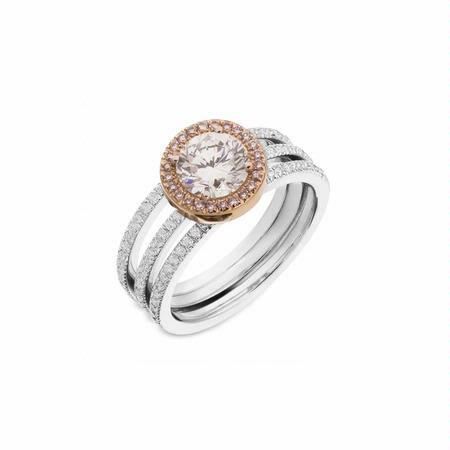 This stunning Simon G platinum and 18k rose gold halo engagement ring setting contains round brilliant cut white diamonds, pave set, G-H color, SI1 clarity, with excellent cut and brilliance with round cut fancy pink diamonds, of exquisite color, weighing .10 carat total. This ring accommodate a .75 carat round cut stone. 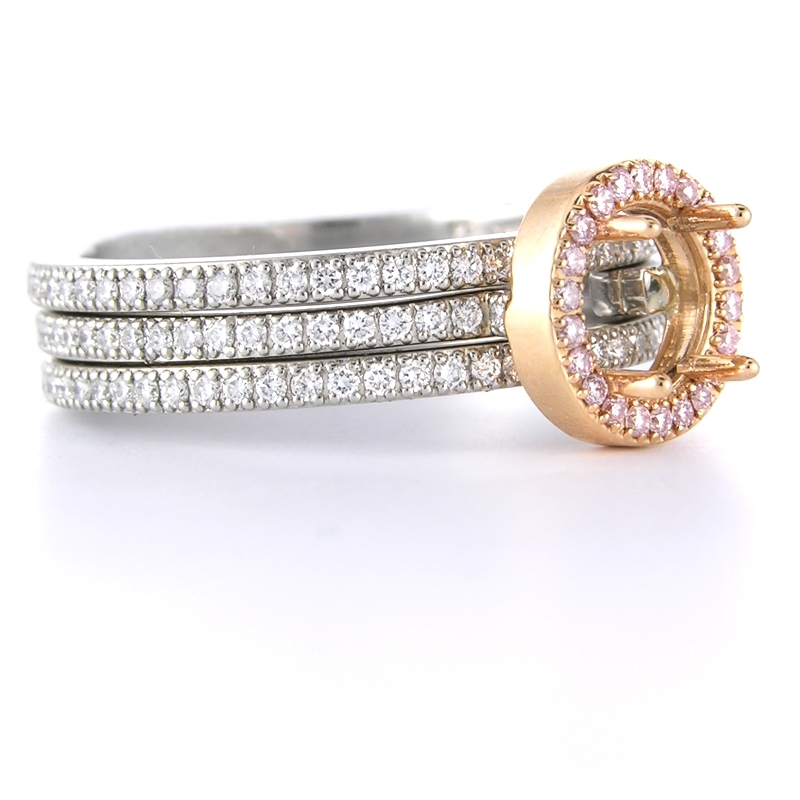 Engagement ring setting fits in the middle of the wedding bands shown and is sold separately. Simon G rings can be ordered in any finger size. Please allow 3-4 weeks for delivery. Complete this engagement ring setting with one of our G.I.A. or E.G.L. certified loose diamonds. Please search #4917 for the matching wedding band rings.